Global News has kept me busy over the past six weeks thinking about BC local elections on October 20th. Here are six columns covering Vancouver, Surrey, the wave of changes in Metro Vancouver, voter turnout, and how candidates are seeking votes this time around. First, the Sedin twins retired. Now, it’s the local mayor. Two-thirds of Metro Vancouver’s mayors have decided that it is time to bow out and won’t be seeking re-election this October. Only 8 of the region’s 21 mayors are seeking re-election, compared to 16 who campaigned to keep their job in 2014 (with 14 winning re-election). Why so much change? Like the Sedins, some veteran mayors have run their course after lengthy careers in office. After ten years as mayor of Vancouver, Gregor Robertson is leaving office, as is Metro Vancouver chair and Port Coquitlam mayor Greg Moore. All three mayors on the North Shore are hanging up their chains of office. While Delta’s Lois Jackson plans to run for Council, she leaves the Mayor’s chair she held since 1999. Ralph Drew has been the mayor of tiny Belcarra for over 34 years. He’s like the Gordie Howe of Metro Vancouver mayors. However, four rookie mayors are “one and done”. Newly elected in 2014, Surrey mayor Linda Hepner, Maple Ridge mayor Nicole Read, Bowen Island mayor Murray Skeels and Lions Bay mayor Karl Buhr have decided to head to the locker room after one term. Is the high number of retirements the ‘cycle of life’ or is there something deeper happening? First of all, politics in Metro Vancouver have been disrupted significantly by housing affordability. 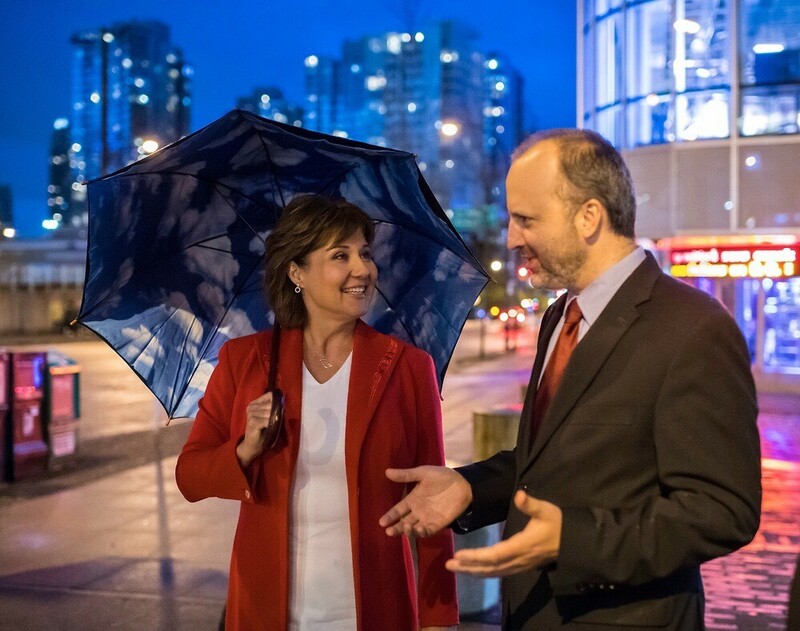 It may well be the single most important factor toppling the Christy Clark government in 2017 as her party lost significant ground in the region. One year later, it may have also resulted in a game misconduct for Vision Vancouver. Voters are grumpy, whether they are renters or homeowners, with policy prescriptions and blame zigzagging all over the political spectrum. It feeds ‘time for a change’. Second, is serving as the mayor (or Councillor) becoming a thankless task? Earlier this year, Metro Vancouver board members were roasted over a one-time retirement allowance and pay increase. In this age of social media, reactions can be immediate and harsh. Greg Moore complained about the change in discourse this week at the Union of BC Municipalities convention. Many local politicians are paid for part-time work and expected to work full-time hours. Well, they did sign up for the job four years ago, but re-upping for another four years requires a heavy gulp. Finally, there are new campaign financing rules restricting donations to individuals which makes fundraising harder. Not that the old days were particularly desirable, but campaign finance records show that developers and unions took care of most of the financing. The new rules will be a chore to put together the funds necessary to order signs, print brochures, run social media ads, and otherwise get the word out. Yet despite these reasons, the lure of politics and service is drawing flocks of candidates. Mayoralty races are flourishing throughout the region. Vancouver will have in the neighbourhood of 40 ‘serious’ Council candidates seeking 10 spots. It’s fair to ask all candidates rushing headfirst into politics– do you know what you are getting into? Are you ready? Do you have your head screwed on right?There will be a lot of rookies around Metro Vancouver board table and at Translink Mayors’ Council meetings. Will wily veterans like Derek Corrigan, Richard Stewart, and Malcolm Brodie, assuming their re-elections, skate circles around the newcomers? Or will the rookie mayors bring a new dynamic, a new style, and new priorities to regional politics? That’s unclear. Voters have the opportunity now to press all candidates on their agenda. How do they propose to implement their ideas? How will they move things through the process? It’s one thing to promote an idea, but how prepared are they to get it done? Are they surfing on sound bites alone, or have they done their homework? The campaign is only just beginning and, with the new timetable moving the election from November to October, there are only five weeks remaining to Election Day on Saturday, October 20th. The next five weeks will be like training camp. Voters will need to give these candidates a good workout because they’re signing their mayor and council to a four-year contract.